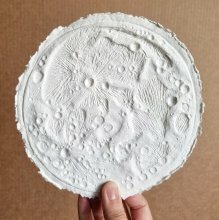 Cast paper sculpture handmade from 100% recycled matboard with a carved relief of our moon, including all the major craters, seas and mountains on the familiar near side. 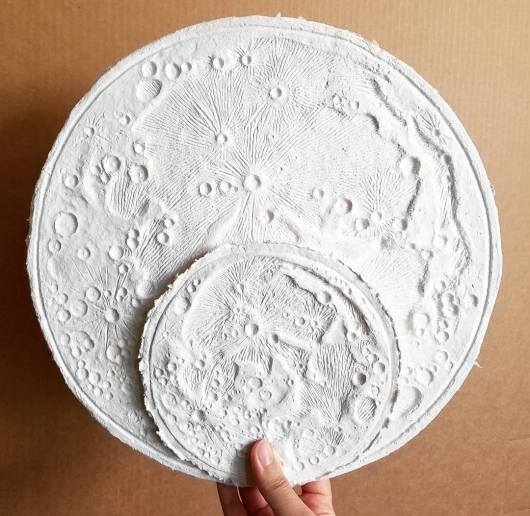 The paper moon disks are mostly flat, with a very gentle convex curve, and a natural deckle edge. 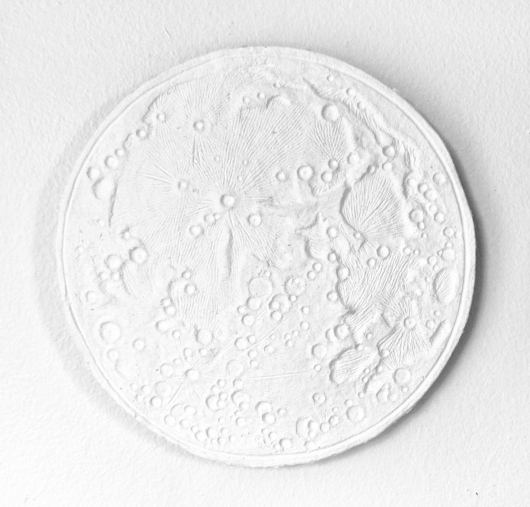 Each moon comes ready to hang with a 1" offset from the wall. 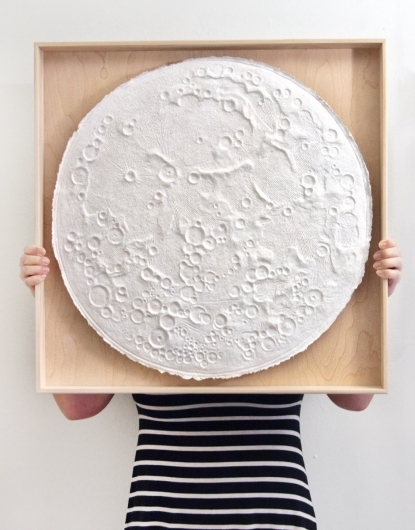 Natural wood frame optional. Available for pre-order. Please allow 6 weeks production time.